NEW! 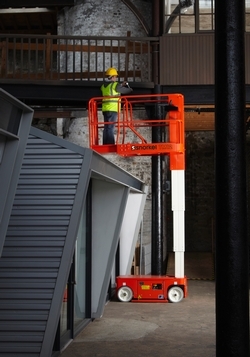 A versatile and compact self-propelled mast lift - perfect for maintenance duties as it fits easily through a single doorway. Now fitted with a 0.5m extension deck as standard.